To be an effective soccer player, especially at the professional level, requires a thorough understanding of the sport: reading the flow of the game, knowing what to look for, knowing where to position yourself, and having practiced enough repetitions to be able to execute properly in any situation. All these things are also true for the people on the third team on the pitch – the officials. 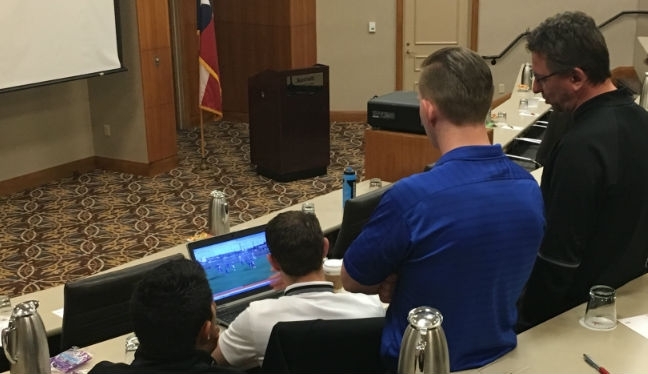 Recognizing this, the Professional Referee Organization (PRO) has developed a computer-based assessment system with the intent of developing officials’ skills to the same high degree as the players. This state-of-the-art system combines a cloud-based video database from TeamXStream with PRO’s assignment and evaluation platform developed by Edge10.